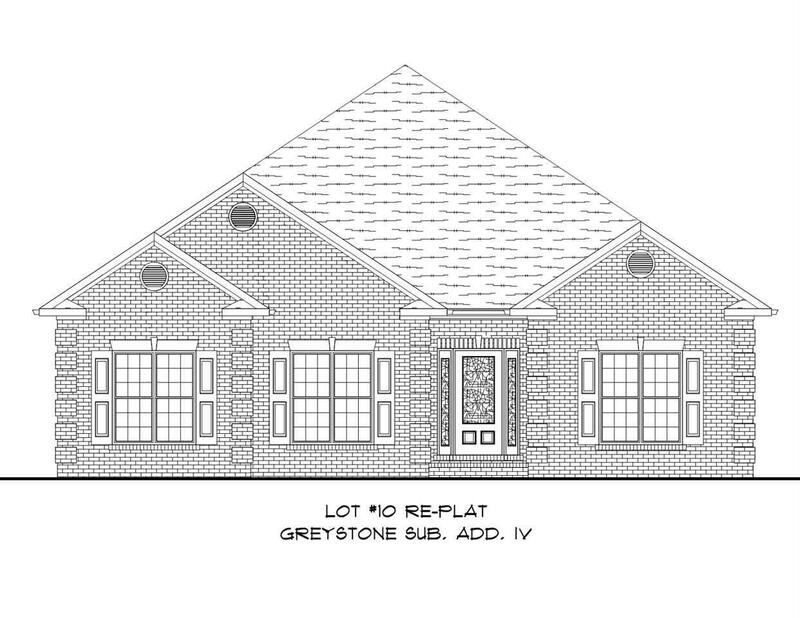 Now Under Construction in Greystone Subdivision! 3 Bed, 2 Bath brick patio home featuring rear entry 2 car garage with walk-up attic storage area, covered back porch & patio area. Front porch entry opens to foyer and grand open great room with 10' ceilings & gas log fireplace with mantel. Kitchen features eat-in bar & breakfast dining area & pantry storage. Fomal dining area features 10' trey ceilings -great details! Master bedroom is spacious with glamour bath featuring double sink vanity & zero entry tile shower + GREAT size master closet! 2 guest room off the front of the home have access to full hall bath. Laundry Room off Back Entry off Garage. Estimated completion is Summer 2019.